The Weather Company, an IBM Business, is helping to improve weather prediction globally via a collaboration with the University Corporation for Atmospheric Research (UCAR) and the National Center for Atmospheric Research (NCAR), a federally funded research and development center for the atmosphere and Earth’s geospace systems. First announced in June 2017 at the International Supercomputing Conference in Frankfurt, the alliance aims to develop cutting-edge models that will run on next-generation IBM supercomputing technology by bringing together world-class meteorological science from The Weather Company, high performance computing expertise from IBM Research, OpenPOWER-based supercomputing systems, and NCAR’s community weather model. This effort also capitalizes on advanced science and technology to work toward the creation of the first rapidly-updating, storm-scale model that can help predict weather events at local scales. Today’s operational global forecast models predict weather patterns down to regional-scale weather events, such as snowstorms and hurricanes. The new model could improve weather and climate forecasting by better accounting for the small-scale phenomena, such as thunderstorms, that can impact the weather. This new model aspires to run at a high space and time resolution, making it the first model to cover the entire globe - providing forecasts to areas of the world that have previously been underserved by existing regional weather models. This new weather model will push the current boundaries of the possible and give a glimpse into the future of meteorological science. Supercomputers run weather models, or foundational algorithms, that can drive nearly all forecasts today. As two leaders in the weather enterprise, The Weather Company and UCAR will join forces to help improve weather models and the supercomputers that they run on. 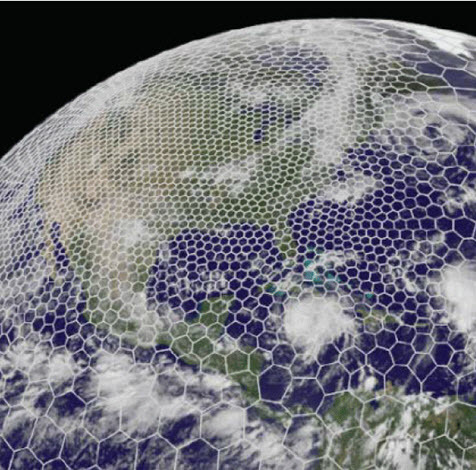 To help enable this new weather modeling capability, IBM and UCAR will engage in system co-design using IBM Power Systems and OpenPOWER technologies to bring unprecedented computational power to bear on advanced weather modeling. This solution will be optimized to run on IBM’s next generation POWER9-based systems scheduled to be delivered to first customers at the end of this year. One of the first endeavors under this program will be to adapt NCAR’s Model for Prediction Across Scales (MPAS) community model to run more efficiently on next-generation computers. While regional models have been run at scales that predict thunderstorms for over a decade, the enormity of global models have made this challenging on a global scale. Enabling “convection-allowing models” on a global scale will not only enable short-term thunderstorm forecasts, but also lead to more accurate long-range forecasts days, weeks and months in advance. The UCAR/NCAR teams involved include the Computational Information System Laboratory and the Mesoscale & Microscale Meteorology Laboratory. "This is a major public-private collaboration that aims to advance weather prediction and generate significant benefits for businesses making critical decisions based on weather forecasts," said UCAR President Antonio J. Busalacchi. "We are gratified that taxpayer investments in the development of weather models are now helping U.S. industries compete in the global marketplace."